This mod has been superceeded by the newer, easier to use Pregnancy Mega Mod and is no longer maintained. 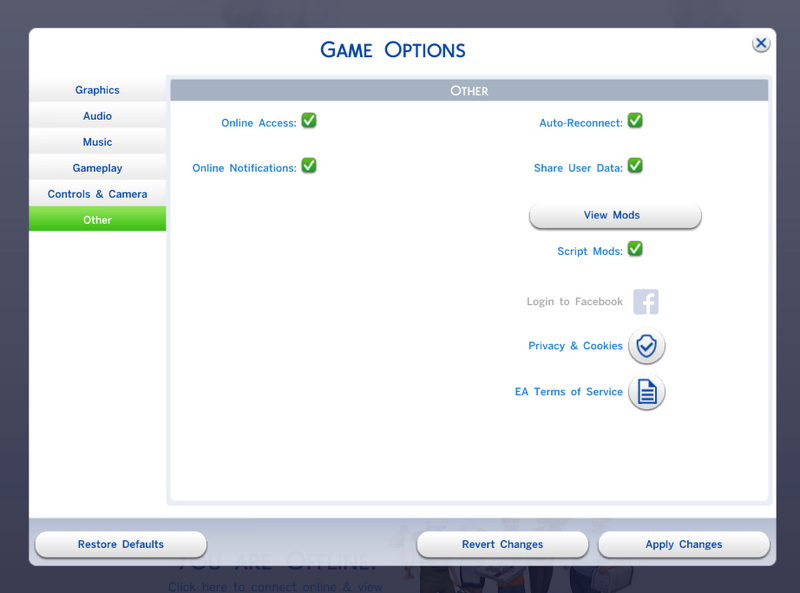 Both mods can be installed without conflicting if you desire to use both. 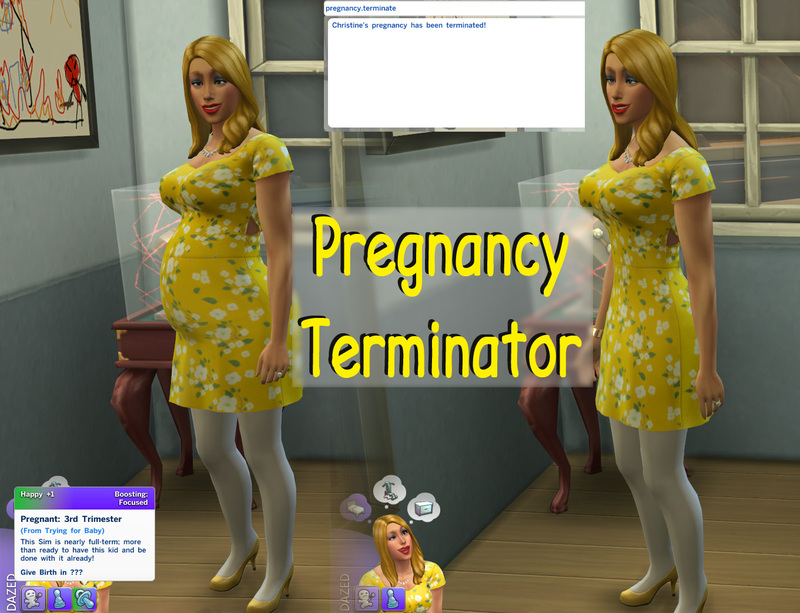 This mod creates a new command to the cheat console to cleanly terminate a sim's pregnancy. Usage is straight-forward, open the cheat console with the Ctrl-Shift-C keys and then enter the 'pregnancy.terminate' command for the target sim, or add a first and last name to target another sim. pregnancy.terminate jane doe - to target the sim named "Jane Doe"
Simply copy, do not unzip, the zip file into your game Mods folder. This is a script mod, so scripting must be enabled in your game options. This mod should be compatible with any Windows version of the game since 1.0.732.20 (October 1, 2014). The script source is included in the zip file. Since this is a new command added to the game, it should not conflict with any other mods.